We are a locally owned and operated business in the Shreveport/Bossier City area. Established in 1965, we have thrived for 50 years on the ideas of quality service, competitive pricing, and the best in design, screen-printed apparel, and promotional items. CUSTOM IS OUR MIDDLE NAME. 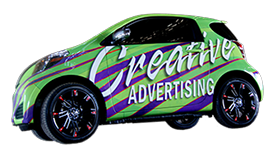 We are a full-service print shop specializing in: screen-printing, embroidery, banners, signs, business cards, vehicle wraps, and a variety of promotional products. BUT WE'RE NOT JUST A PRINT SHOP. Tell us your idea, and we will make it a reality. Our full-service graphics team loves a challenge. Come in and see us today; we're sure you'll leave satisfied!